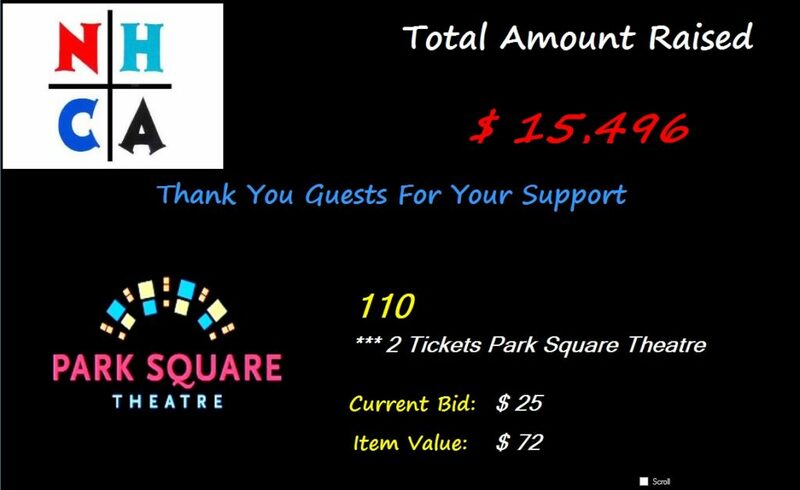 Our standard scoreboard screen has the items cycling as a result guests see more items. Rotating sponsor images at the top of the screen allows you to raise additional sponsorship. Options to customize the screen are available while allowing a great standard screen included in the cost. 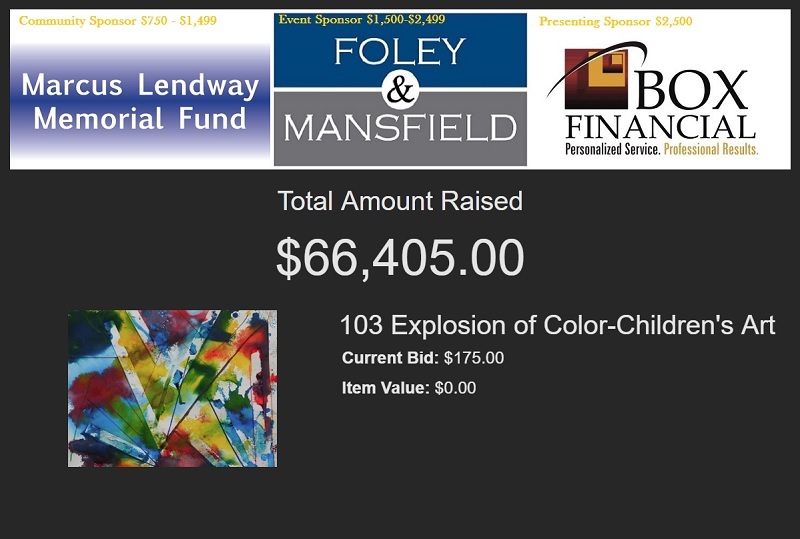 This is one of our custom screens, with the sponsor in the upper left, the total amount raised in the upper right, and then the item’s description and picture in the bottom half. 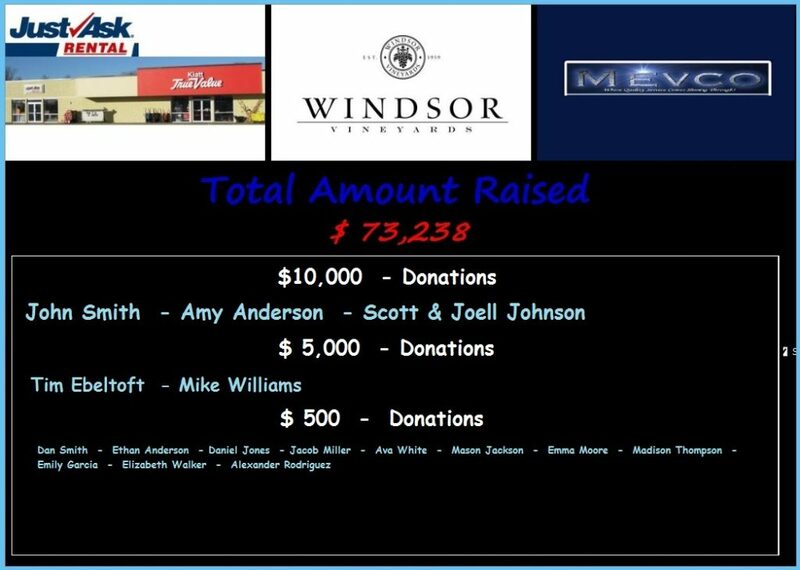 Custom scoreboard depicts the donors in several tiers to recognize their contributions to the event, with those who give the most at the top and in the largest font.